Dotted with mature trees and greenery, the ambience in Kuala Lumpur’s Jalan Doraisamy was relaxed and serene when we visited one Thursday evening. Behind the re-adapted façades of 1940s shophouses were several new haunts. With live music playing in the background, patrons were indulging in coffee at Common Grind or enjoying a bite at Nyonya restaurant, Limapulo: Baba Can Cook. These hang-outs are part of The Row, an urban regeneration project by niche property developer Urbanspace Sdn Bhd. Launched in 2015, The Row boasts a 74,000 sq ft mixed-used commercial development consisting of 22 pre-war shophouses. It offers cafés, restaurants, bars, offices, retail shops, galleries and event spaces such as Slate @ The Row. Urbanspace collaborated with Singapore-based Pocket Projects and local architecture firm Studio Bikin. Jalan Doraisamy was known as Asian Heritage Row in the early 2000s, boasting a vibrant nightlife with bars such as Maison and Bar Savanh, but the area lost its appeal after a shooting in 2012. Jalan Doraisamy “stretches from Sheraton Imperial Hotel (on Jalan Sultan Ismail) to Jalan Dang Wangi,” he says, adding that prominent landmarks include the KSK building (formerly Kurnia Insurance building), Sheraton Imperial Hotel, Hotel Stripes, RED By Sirocco hotel and Yuk Kee Restaurant. “There are not many transactions in Jalan Doraisamy as many property owners are still holding onto their assets. Nevertheless, prices in the area have definitely increased over the years due to strong demand for urban redevelopment. 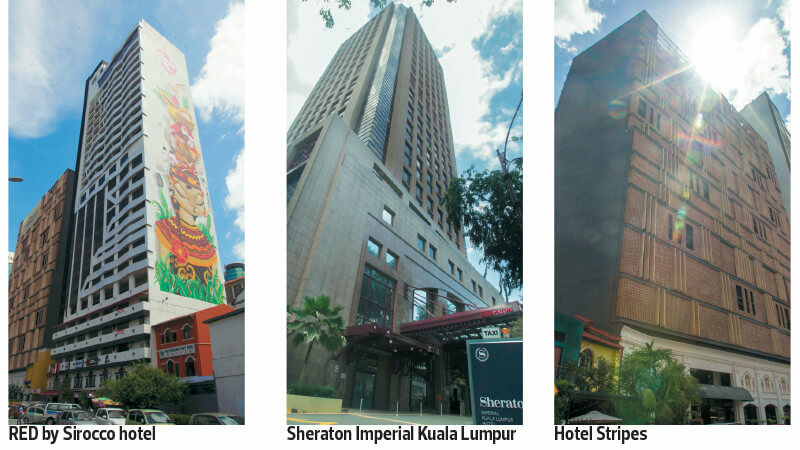 “One of the key challenges is that the area is moving towards catering for yuppies and tourists while the office workers have been patronising newer establishments in Kuala Lumpur,” says Toh. However, Jalan Doraisamy has promising prospects. “The area is slowly moving towards urban rejuvenation and becoming a cultural melting pot. It will be a major KL tourist spot. The area has been reinvented, with retail shops, galleries, cafés, bars, restaurants as well as boutique hotels, and it will continue to do so in the near future,” concludes Toh.